What five character traits describe you? Listen to Neil and Leah mention their five character traits that describe them. 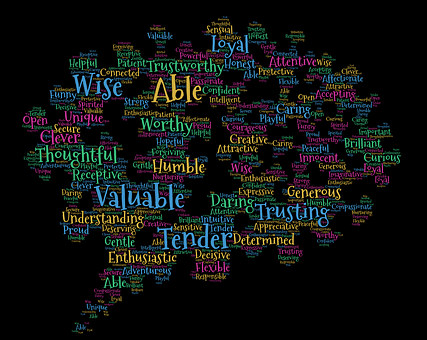 The five character traits that best describe me are…. I chose passionate as #1 because when I put my mind to something or I have the passion for it, then I have to get it done. It will get done. My #2 is sympathetic because I have always had sympathy for animals and people that are not treated well or are having a tough time in life. Fairness I chose as #3 because even as a child I always wanted things to be fair and as I grew up it never changed. The sad thing though, is that life is never fair, even though I wish it was. I am a very spiritual person and have always been, that is why it is at #4. I believe in all things being connected and that life never truly ends, it just takes different forms. I have been told many times that I am an old soul. I am a Pisces and that is usually how we are described, even at a young age I always had this feeling of having deep knowledge that I couldn’t have acquired yet. That is why I put insightful at #5. According to an article online at liveboldandbloom.com there are 20 different Good Character Types. Out of 20 I have picked the 5 that best describe my personality on my opinion. Honesty is a character trait that is more than telling the truth. It’s living the truth. It is being straightforward and trustworthy in all of your interactions, relationships, and thoughts. Being honest requires self-honesty and authenticity. This character traits example feels deep sympathy and pity for the suffering and misfortune of others, and you have a desire to do something to alleviate their suffering. This character trait can be consistently depended upon to follow through on your commitments, actions, and decisions. You do what you say you will do. Kindness is a positive character trait of being considerate, helpful, and benevolent to others. This character trait is motivated by a positive disposition and the desire for warm and pleasant interactions. You make conscious, intentional decisions to let go of resentment and anger toward someone for an offense — whether or not forgiveness is sought by the offender. Forgiveness may or may not include pardoning, restoration, or reconciliation. It extends both to others and to one’s self.